Helm aims to be the package manager for kubernetes clusters. These packages are called Charts, where you can define which docker images have to be used in your services later, exact version of images and configuration data. I’m pretty sure all these could be configured using kubectl, but that would be lots of commands, probably redundant, error-prone and time-consuming. But with Helm Charts, you can define your service in a kube cluster pretty easy - after you get to know what goes where. We should not forget, these charts are versioned, so you can roll back if something went wrong. So far I’ve met with simple charts, with a few Templates and Values. Having several value files - staging and production for example - was enough for our needs, and we could version and deploy our services using those. Here is the complete documentation on Chart contents. Since I know the work of @aemkei, and the dark magic of zero-width Unicode characters, I prepared for the worst. Tried to hunt down any, accidentally created ghost character, but there were none. It was really two characters, handled as somewhat one, but the caret did not move while stepping over them. After a short googling the word “Ligature” burned in my brain! In our case - which is actually a very common one - the letters _f_ and _i_ melted together. The weird thing here is that the browser treats these as two separate characters, it does not move the caret visually, which is really confusing UX-wise - imagine use cases like precise-selecting text. But it can be turned off, using the powers of CSS! The best place to learn about these is the W3 spec itself and it turned out, it’s a long slippery way down the rabbit hole. Flag emoji like 🇯🇵 are ligatures of special country code glyphs called “Regional Indicators”. There are 26 of them, one for each letter of the Latin alphabet, and two combine to make a flag. For instance, there is no Unicode number for the Japanese flag emoji 🇯🇵, it is made up of two indicators: REGIONAL INDICATOR SYMBOL LETTER J + REGIONAL INDICATOR SYMBOL LETTER P.
For this site, I wanted to play with a skewed header and footer background, but leaving these slanted layers there just being static elements looked boring. So why not add some animation? 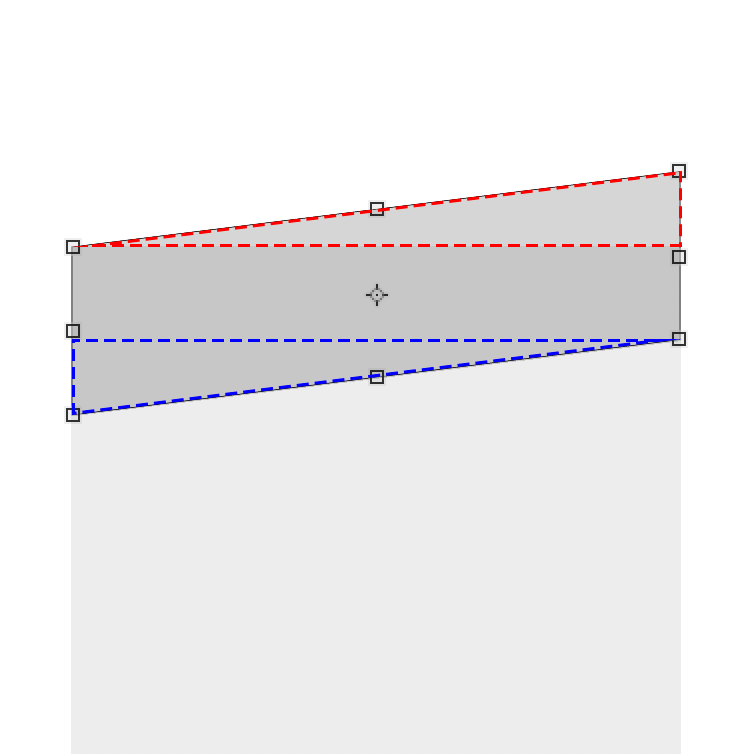 To animate these leaning layers, I have to update the css skew property, by a relatively small degree. If I look at this shape of a skewed background rectangle, the upper / or lower part is a simple right-angled triangle. The value I need, is the angle between it’s adjacent and hypotenuse, that has the degree value to skew the background with. Sine, cosine and tangent basics. Luckily, the right-angled triangle has some basic rules in trigonometry. Refresh your knowledge on trigonometry, it can be really useful in usecases like mine! Using requestAnimationFrame on scrolling I can calculate the height of the Opposite value until a maximum pixels, and during this calculation I can set the skew angle, so as the visitor scrolls down, it starts to skew the header or the footer. Setting a CSS property from JS can be painful for rendering performance. Instead, use CSS variables - or CSS Custom Properties - where the value of a CSS property is bound to a CSS variable, just update the value of the variable from JS, and let the browser sort out the rest. Combining this technique with FLIP, enables you to create not just fancy decorative animations, but meaningful and contextual transitions for any UI. Posted on 2018, January 15th , tagged as css, helm, kubernetes, learning, ligature . If you wish to comment, correct someting silly I've wrote or ask a question, the source for this post is on github, contact me there, or via email, or just find me on twitter.